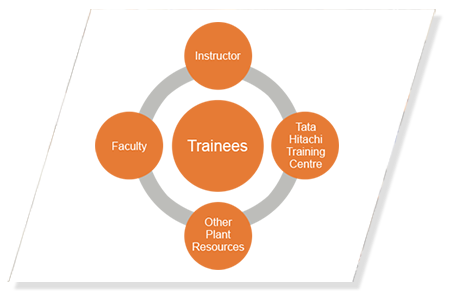 Tata Hitachi has set up Operator Training Schools in Kharagpur, West Bengal & Dharwad in Karnataka. The schools rest on multiple pillars of skill building, social entrepreneurship and training. 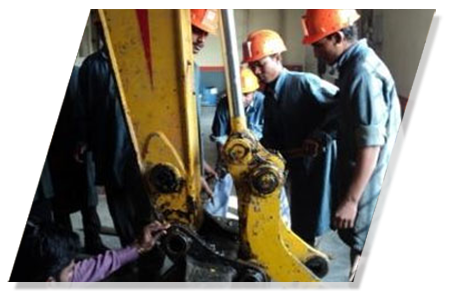 It imparts driving and servicing skills for excavators and backhoe loaders to the unemployed youth to enhance their employability as operators for construction equipment both in India and abroad. As a policy, 50 per cent of the seats are reserved for SC and ST candidates. 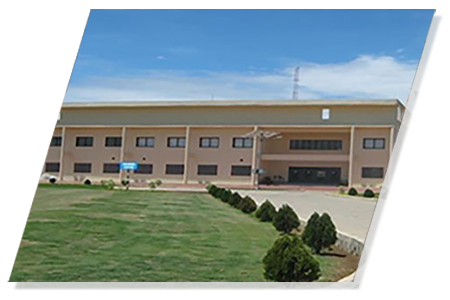 The school has a modern hostel, multiple classrooms supported by electronic visual aids. 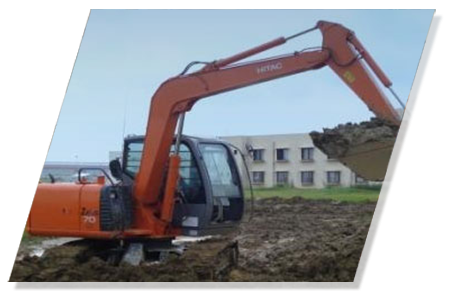 In addition, the school utilizes Tata Hitachi’s state-of-the art machines and other machines for practical sessions: all in an attempt to impart excellent training. 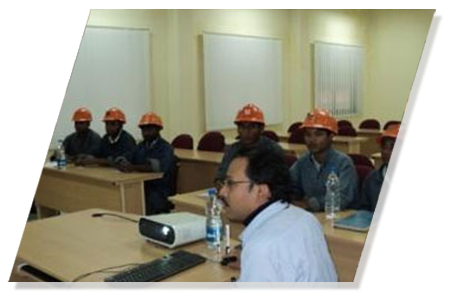 The training program includes theory classes on equipment understanding, practical, hands on training for aggregates. 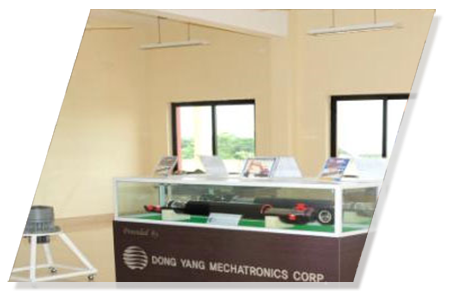 A team of well-trained and experienced personnel from the Company leads the initiative. 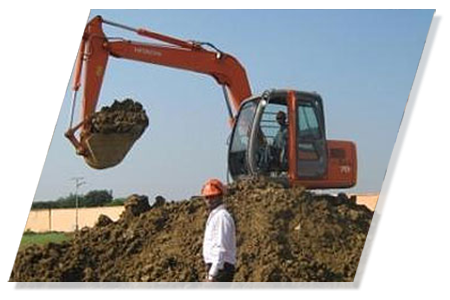 A team of well-trained and experienced personnel in the field of training from the Company. Two trained instructors for practical training. Fully equipped staff room and conference room. Hostel facilities to accommodate 40 trainees. Training bay and test track. Located in Belur industrial area. Total area around 8 acres. Data base of all trained personnel shared with dealers, partners and customers. Facilitation of employment through Government agencies. JVs with Construction majors, organizations for industry interface. The initiative does not end here. 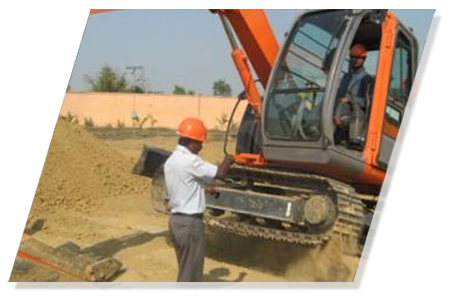 We maintain a data of trained personnel and share information on the trained operators with dealers and new customers entering the business to provide employment for the trainees. The objective is to create a supply chain management system connecting supply of trained resource to its demand. This will be noteworthy and is sure to make a sustainable contribution to the drastically growing infrastructure sector. The engagement process at the training center goes beyond training: it aims at creating a corporate sustainability program, creation of human capital, leadership, and skill building. Our aim is to focus on positive economic value addition, social entrepreneurship, flanked by the twin pillars of growth and sustainability. We provide our four-wheel driver training to village youths and to women’s groups in the villages to increase their employability opportunities.